Whether you just have low water flow naturally or just want to save some money on your water bill, sometimes you just need a low flow (or water saver; the only difference is really the purpose you need it for) unit. My goal here today is to sift through the chaff and find the best shower heads that can deal with a low flow while still giving you a great shower. A great option, with two unique settings. Picking the top option out of this batch was hard, as I like all of them a lot. Eventually it just came down to what I thought would give me the most comfortable shower, and so this Delta took the cake. Made of plastic with a chrome finish, this one works well as both a high flow and low flow shower head, being adjustable on a gradient between 1.85 GPM and a full 2.5 GPM, with two spray patterns: a water amplifying setting (low flow, high pressure showering) and the “H2OKinetic” setting which flings the water out in a wave pattern. Both are designed to give you the feeling of using more water without actually doing so, making this the ideal water saving shower head. Everything is rounded out with its under $20 price tag and lifetime warranty, making this a perfect product for people who travel and sometimes end up staying somewhere where the water flow is not to their liking. Probably the optimal, lowest flow handheld you’ll find. This is about the average for a low flow shower head in terms of GPM (1.75 GPM) and is also at about the average for what you’d expect from a handheld. Combined, this makes it pretty darn good for what it is. It comes with five of Oxygenics’ uniquely named settings: Wide Stream (the full spray), Focused Stream (jets from the inside face), massage, flood, and “Multi Oxygenics” (a blast from those two much larger holes in the center). Weirdly, it lacks a pause feature, but other than that it’s a really excellent handheld unit in general, and great in the context of water saving handheld shower head sin particular. Well worth the over $40 price tag, I recommend it. A nice water saving shower head. This is, admittedly, not the top handheld product on the market. It’s pretty good, especially given the under $25 price tag, but the main reason it’s here is because it’s one of the rare water saver handhelds around. 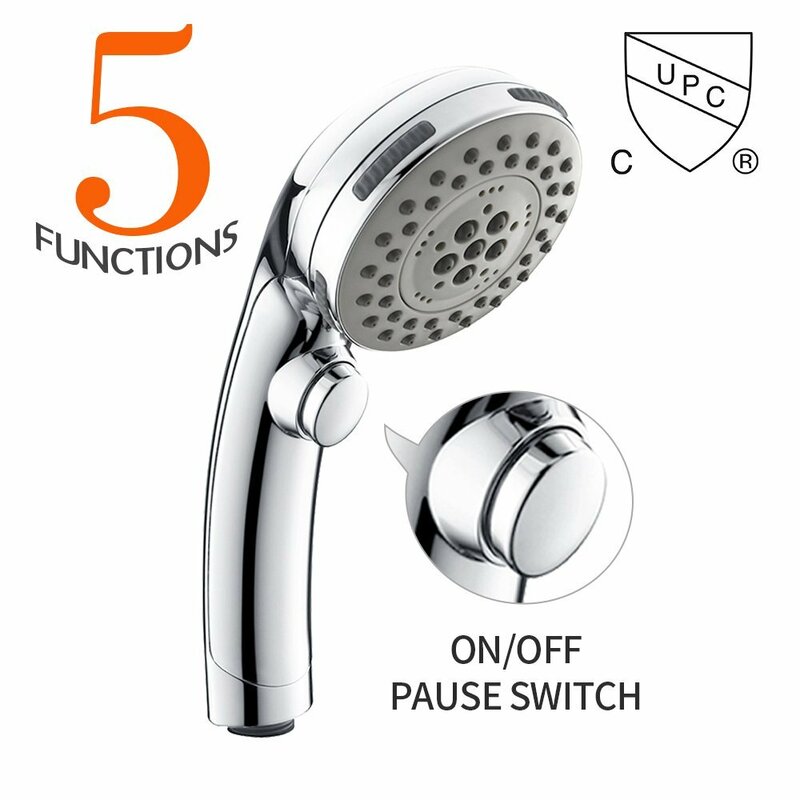 The primary water saving feature here (besides the lower flow rating): a pause function as one of its five settings. The other settings are great for a low flow shower head as well, giving you the choice of using it as a low flow rain shower head (with a rain massage as well), using it as a mist, a more pressurized spray, or a combination of the massage and spray functions. Its cheap price means relatively cheap construction as well, being plastic with a chrome finish, but it does the job just fine for what it is. The only complaint I have is this one doesn’t come with the hose included, which is kind of weird. A good all around product. By default this one is relatively low flow with a good number of settings: full body spray, massage, “rain AIR” and a pause mode. The “rain AIR” feature is the real draw here, giving it a champagne bubbling effect that gives you the feeling of more water (larger droplets covering a larger surface area) without actually USING more water. 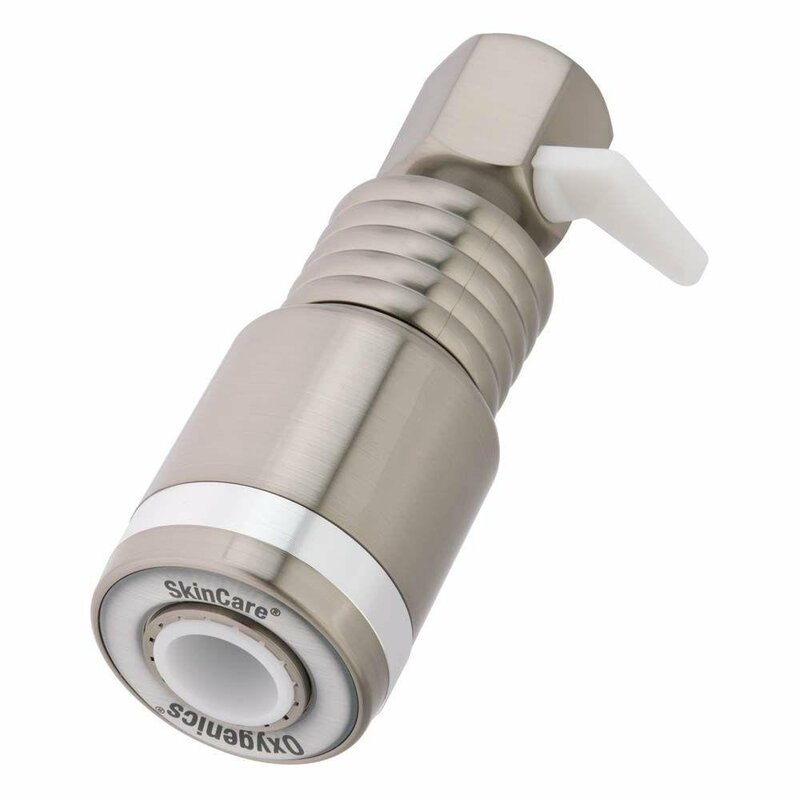 And if you find yourself wanting a heavier shower at some point, this one also has a removable flow restrictor, meaning you can amp it up to a normal shower’s flow rating very easily. I also give this one slight props for construction. Like most of these it’s still plastic with a chrome finish, but does have a multi layer chrome finish, making it harder to visibly scratch. It’s also covered by a 10 year warranty if it ever breaks, which is kind of amusing for a product that costs little over $10. More “medium flow” water saver, but it checks out. This one comes in at 2.0 GPM, about the highest flow for what can be considered low flow (20% less than the legal max). Much like the option immediately below, this one can be easily turned off and on at will, but boasts being great for skin care. This is due to its dual function: aerating the water and boosting the pressure. Either will make you feel like the water volume is much higher, but combined it takes a lower flow and makes it feel like a deluge. 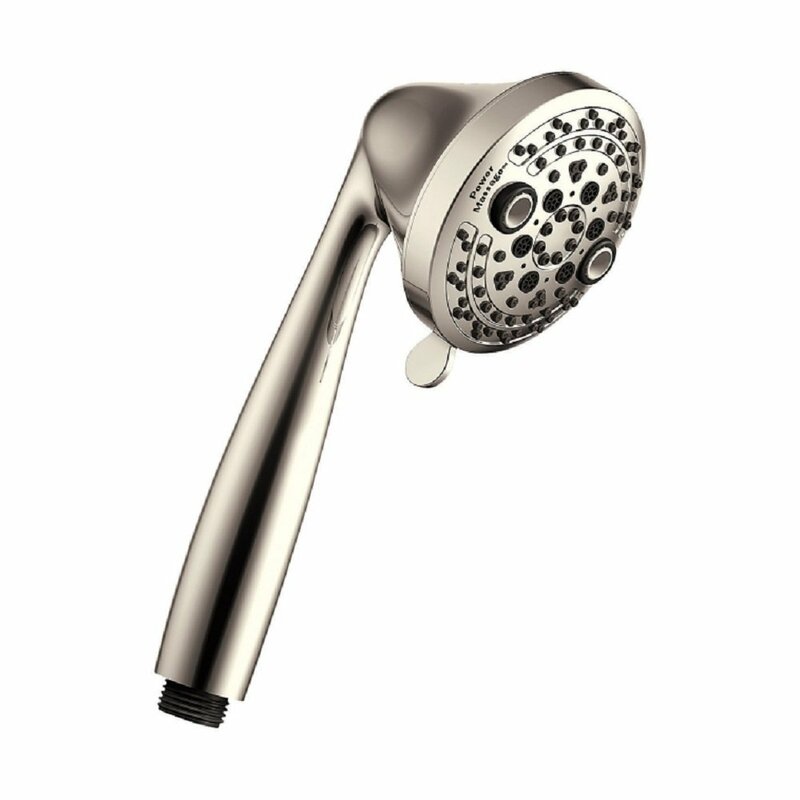 While a bit expensive (over $40) for what it is, it’s a great example of what is a fairly rare shower head type, and comes in a variety of finishes, as well as being made of a fairly unique material: acetal resin, which is highly resistant to corrosion and mineral build ups. This is the only normal flow option on the list (though has adjustable flow control, you just have to tweak it to output a lower flow before you twist it on), but still gets points for water saving function due to it being designed entirely around a push button system. This admittedly relies a bit more on you being active in saving your water rather than the product doing it for you, but for under $10 you get what you pay for. The construction is solid brass and likely to last you a lifetime if you want it, and it gets the job done just fine…though is hardly a luxury option, to be sure. 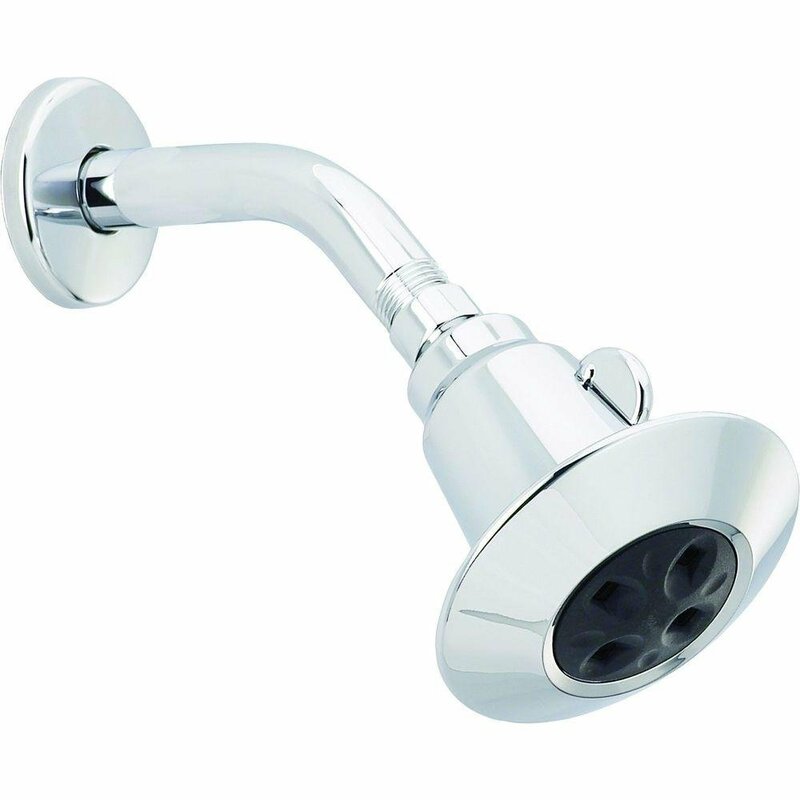 Low flow shower heads exist in a range. 2.0 GPM is the highest I’d consider low flow, and many hover around 1.75 GPM or 1.85 GPM. This one? 1.25 GPM, less than half the flow of a normal shower. If you have severe low flow issues, this is perfect. It’s under $10, looks okay (plastic and chrome, nothing unusual), and has a massage function to eke out a bit of extra pressure when needed. People report problems getting clean, particularly with long hair (the massage function is needed to even attempt washing thicker hair) and the stream is uncomfortably thin. Great if you really need to save water for whatever reason (live in an RV, in an area with a drought, etc. ), but otherwise not worth it. The top 3 options I like just about equally. They’re all great for different purposes and perform their job well, while still being quality products. The bottom two are here because they’re cheap and great to buy in bulk, and work perfectly for certain extreme scenarios, but I wouldn’t recommend them otherwise. Stay away from the Niagara and LDR unless you find yourself needing something just like it (the LDR is perfect for an outdoor shower, as an example, I’ve seen similar ones used at campgrounds and beaches and they get the job done nicely), and shell out the slight amount of extra cash for at least the CLOFY 6 setting option, since it does everything they do, but better, and for less than $5 more. Take a look at some other shower products that we checked out. The primary things you want to look at are number of settings (as with any shower head), the construction and materials it’s made from, the price, and the methods used to save water (the most interesting in a lot of ways). While they tend to have less (or even no) settings as a general rule, the best low flow or water saving products tend to have at least one besides the default, and some even have as many as you’d expect from normal units. Sometimes these tend to take a different form, but water saving units that have a high pressure nozzle will often have a massage feature, while many will also have a mist feature (either additionally or as their sole separate setting). Consider these your standard settings, while anything else is just a bonus. The materials you’re looking for are pretty standard. 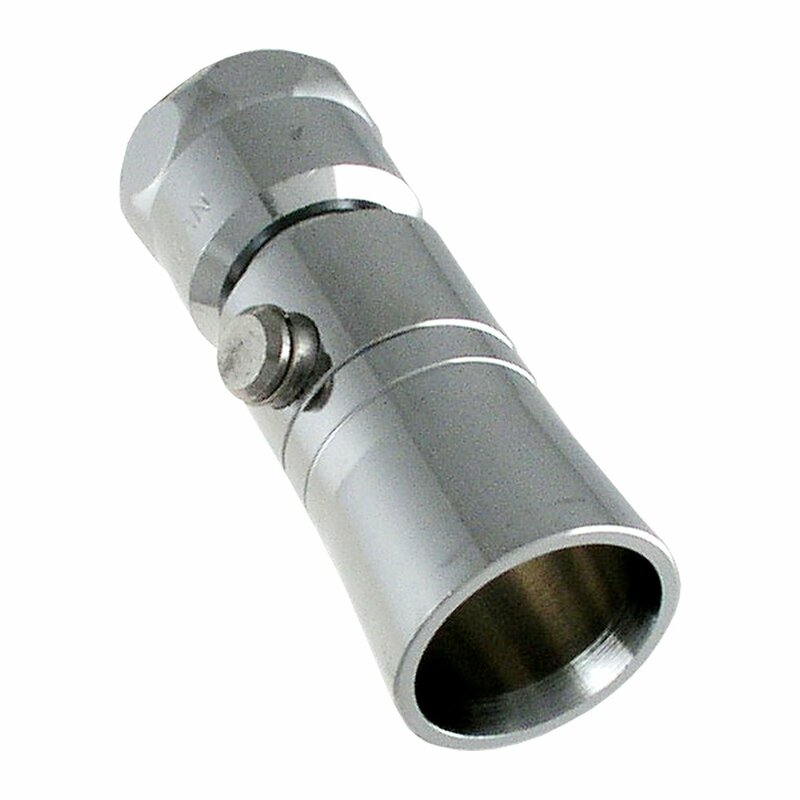 Since low flow units tend to be fairly cheap, you’re looking at primarily construction of either plastic or some kind of metal with a simple chrome finish, with rubber touch clean nozzles. You generally want a water saving models to have a smaller face compared to your average model; this usually means it has a higher pressure so you can get the lower flow and still get a satisfying clean. Like I mentioned above, low flow units tend to be pretty cheap. You’re looking at anywhere from $10 or less at the low end and you’re rarely going to pay more than $30 at the high end for one of these. That means price competition is pretty steep and it’s never worth it to buy a slightly worse option that just happens to be cheaper. As a result, for this article I’m pretty much throwing out price as a consideration for what the ultimate option is (though will mention it for the sake of completeness) and I’m looking at water saving shower heads that are significantly different or unique from other options so you can find one that does the job in a way that fits your preferences. There are some rather ingenious methods some of these products use to save water. All of them share the same basic principle (they have a lower Gallons per Minute than the 2.5 GPM maximum flow), but many take great pains to hide the fact that the flow is lower by compensating through some other means. The simplest is higher pressure, with many taking a 1.85 GPM flow and turning it into a more high pressure stream, giving you a narrow but powerful stream of water that takes some maneuvering to get a proper shower (you’re basically wetting one part of your body at a time, and it’s a huge pain if you have thick hair) but doesn’t have the same issue as some water saving showers that you don’t feel clean afterward. Then there are more exotic options. Some aerate the water, creating much larger droplets that saturate a wide area. Some are water saving rain models, spreading the flow across a wide area (again, a pain on hair, but good for body washing). Some can be shut off or paused mid shower, and there are a ton of other options as well. This is the biggest thing to look for, and I’m going to show a selection of each of the major methods in this article so you can judge what’s right for you. Everybody is going to have a different preference here because everybody has different priorities when it comes to showering. I personally have thick, curly hair, so a shower that has a hard time washing my hair is a shower I find unappealing. 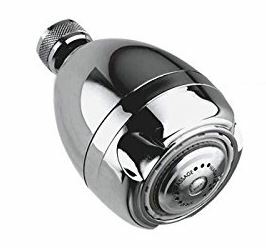 But that same water saving shower head could be perfect for someone with short hair that just wants something that coats their body in a fine mist to wash with. So let’s get started, first by looking at my personal favorite! 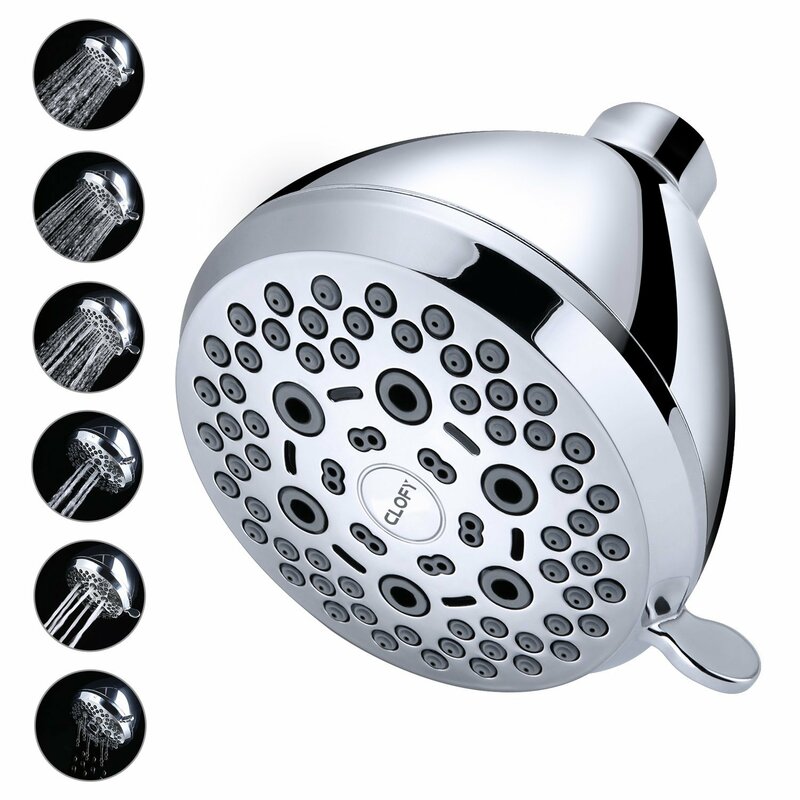 BestShowerHeads.review is a participant in the Amazon Services LLC Associates Program, an Affiliate Advertising Program designed to provide a means for sites to earn advertising fees by advertising and linking to Amazon.com.